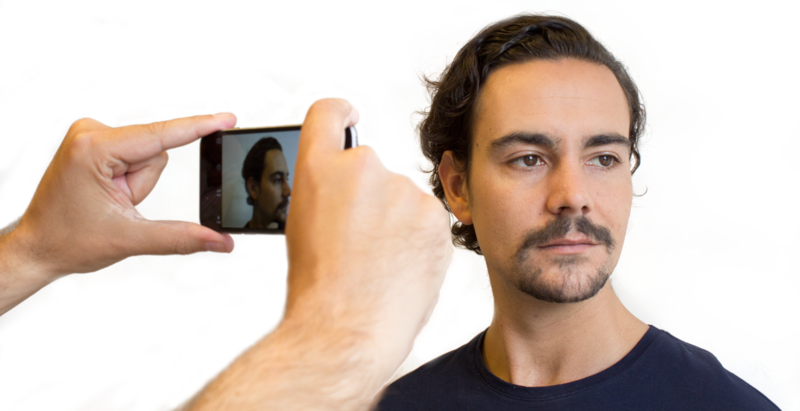 Use your smartphone to make a series of photos. Make one photo with a card that has a magnetic stripe as a reference for our tailoring process. Here at Boulton we are fired up and ready to print your Boulton frame. But first we need a good set of photos from your face to start tailoring your frame. Before we do we always check the photos in person. We can and will only use photos of good quality. If needed we will ask you to add some more photos before we move on. What do I need to make good photos? The one being photographed turns his head from one ear to the other ear in 20 seconds (180 degrees in total). It helps to count to 20 during filming (so 10 seconds per side, 20 in total). For scaling perfectly we need a reference image. 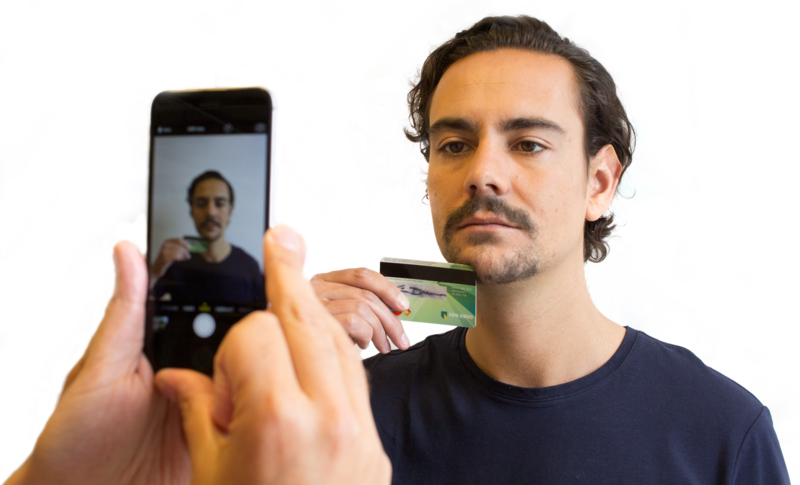 Take a photo with you holding a bank card (or any other card of the same size and with a magnetic stripe) touching your chin. Use the free WeTransfer app for sending the photos to tailor@boultoneyewear.com. Add your email address and name.